Websites and other published material are now widely available which explain the basics of dog bite law and how this area of law applies to personal injury caused by dog bites. In contrast, this part of dogexpert.com is more limited in scope in that directs readers to legal resources that merit the attention of the animal behaviorist. Dog bite law varies from state to state. Basically, dog bite law in this country is separated into law which makes an owner strictly liable for injuries caused by a dog bite regardless of the owner’s prior knowledge, and into law which makes an owner liable only if they had knowledge of the dog’s dangerous nature (e.g. common law theory). 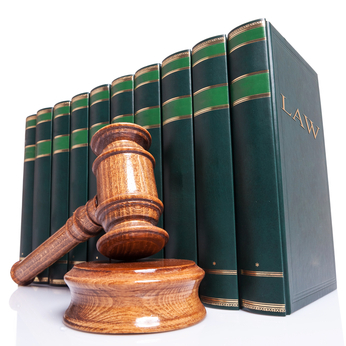 In addition, in every state, recovery for personal injury can also be made on the basis of negligence. Some states like California and Michigan, make an owner strictly liable for a dog bite (barring certain caveats like trespassing and provocation) while other states, such as Texas and New York, do not have laws supporting statutory strict liability. In these latter states, the burden remains with the plaintiff to demonstrate that, prior to the incident in question, the dog owner had actual knowledge of the dangerous propensities of the dog. One general trend in dog bite law, beginning around 2000, has been a shift away from the common law standard in favor of dog bite law favoring strict liability and negligence. For example, in Colorado, legislation lessened the significance of one-free-bite and made liability based on negligence relatively more important. On the other hand, a recent appellate decision in the state of New York reaffirmed the common law notion that an owner must have known (or possibly “should have known”) of a dog’s dangerous propensities in order for liability to be imposed. Information pertaining to a property owner’s liability for a dangerous dog maintained by a tenant, and a wealth of information as it pertains to other areas of animal law, including domesticated farm animals, can be found on the excellent website hosted by the Michigan State University College of Law. Dog owners in Los Angeles seeking help because their dog has been accused of being “potentially dangerous” should carefully read the info posted elsewhere on this website. As noted above, the reader should realize that this part of dogexpert.com is sparse when compared with attorney Ken Phillips’ comprehensive website. The reader is directed to Phillips’ site for a wealth of information on dog bite law. The Michigan State School of Law also is another excellent resource to turn to for an overview of dog bite law. Problems with breed-specific legislation: Can a pit bull be accurately identified through physical appearance? Criminal prosecution for fatal dog attacked by Doberman on a toddler in Michigan?